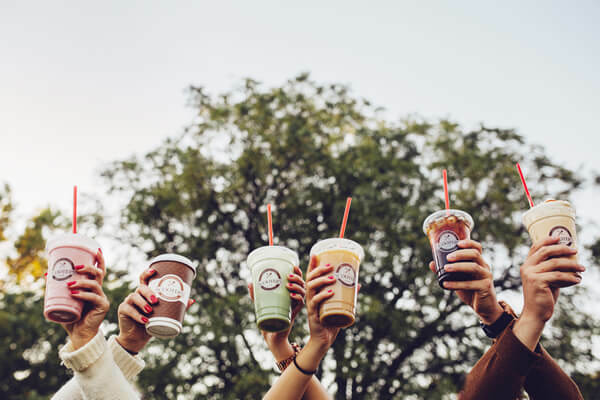 Why Invest In A Scooter’s Coffee Franchise? The specialty coffee business interests many people because it looks like something they’d like to do. The industry has been around for over 40 years and continues to grow. Starting a coffee shop business with a franchise like Scooter's Coffee is a fun and exciting experience. On the one hand, owning your own business is something many people have dreamed of doing. On the other, starting and building a successful business can be a very difficult thing to do. Buying into a successful franchise concept is a great way to go for many people. What sets Scooter’s Coffee franchises apart? Quality, systems, franchise support, strategies, success, and as important as any of those...history! We’re a franchise partner you can trust to do all that we can to make your business venture a successful one. 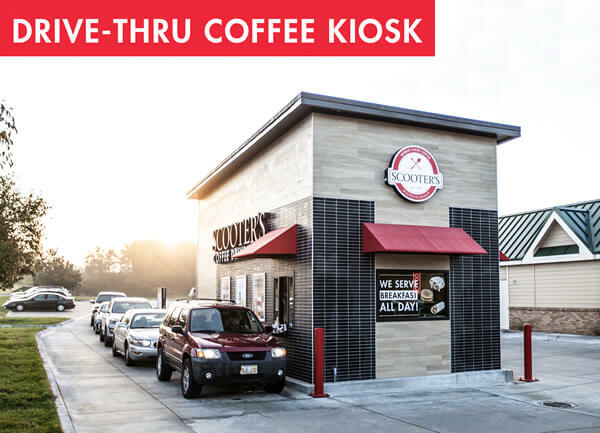 Scooter’s Coffee Drive-Thru Kiosk – Designed for speed & efficiency. The best choice when franchise retail space is at a premium. 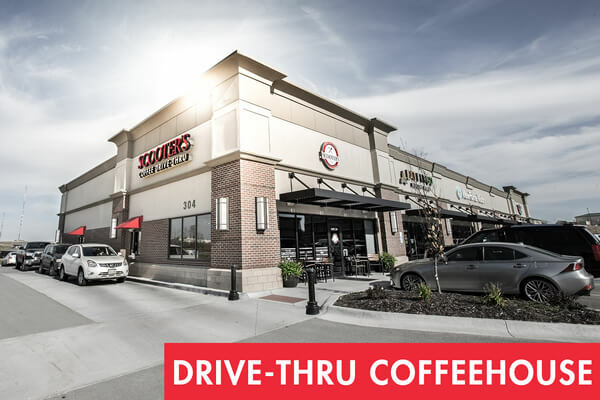 Scooter’s Coffee Drive-Thru Coffeehouse – Combines drive-thru capability with a conventional walk-in franchise. Scooter’s Coffee – A Top Franchising Opportunity! World-class coffee franchise business concept. We believe in what we promote. Growing industry and customer base. Specialty coffee attracts many customer demographics. Territories open for the right owners. Focused on regional & national growth through multi-unit franchise owners. 100% shade-grown world-class coffee that we roast & package ourselves. Franchise Support Team in place to help with site selection, training, operations, marketing and planning. Terrific business and operational support from a highly experienced Franchise Support Team with original company founder still leading the company daily. Is Owning A Scooter’s Coffee Franchise In Your Future? The business of specialty coffee continues to expand across the country, providing a number of opportunities to get involved. 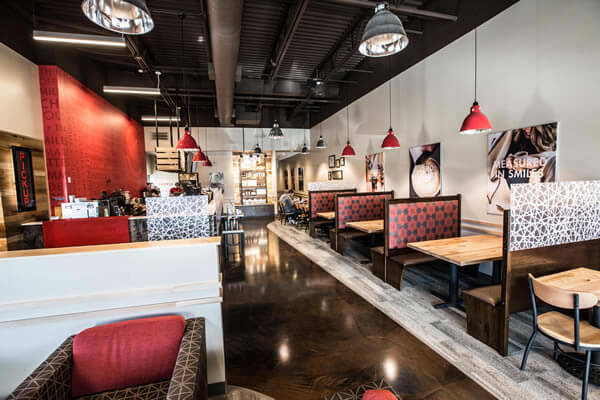 Owning a Scooter's Coffee franchise offers unique benefits that you may not find with other franchises. Low failure rate - You are buying into a concept with proven success. On-going support - Lots of help starting your business and running it afterwards. Protected territories - Enhanced ability to establish your business. Built-in network - Benefit from other franchisees from whom you can learn and share. Are You Right For Our Franchise Opportunity? We’re seeking people who want to own multiple franchises. Our franchisees must believe in our brands and our concepts. We’re not looking to sell stores…we’re looking to partner with smart people who want to build a business together. Minimum net worth of $500K, with liquid assets of at least $100K, is required. Previous business ownership is not required, but some leadership background is a must. Our potential franchisees must believe in and appreciate the franchise concept. They must understand the restrictions that owning a franchise brings, but also appreciate the freedom from having to figure out all the details of a business, both prior to opening and going forward. No Pressure. Before you buy a franchise with us, you will know for sure that this is the right business opportunity for you and will be fully aware of the benefits of ownership. We will know each other very well before any final decisions are made, either way. If a Scooter’s Coffee franchise sounds like it might be right for you…fill out the inquiry form and we will contact you! Scooter's Coffee is currently accepting inquiries from the following states: Alabama, Alaska, Arizona, Arkansas, California, Colorado, Connecticut, Delaware, Florida, Georgia, Idaho, Illinois, Indiana, Iowa, Kansas, Kentucky, Louisiana, Maine, Massachusetts, Michigan, Minnesota, Mississippi, Missouri, Montana, Nebraska, Nevada, New Hampshire, New Jersey, New Mexico, New York, North Carolina, North Dakota, Ohio, Oklahoma, Oregon, Pennsylvania, Rhode Island, South Carolina, South Dakota, Tennessee, Texas, Utah, Vermont, Washington, D.C., West Virginia, Wisconsin, Wyoming. @nikkiliz28 Great news, this location is now open! @jbone____ We would love to be there someday!